TaMaR, (Tnuat Magshimim Reformit) will hold its annual Israel gathering (Veida Olamit) during the first week of March. TaMaR is a framework which facilitates get-togethers of Netzer graduates and other young Progressive Jews interested is discussing and exploring, together with their peers, various issues pertaining to Jewish identities. Once a year we hold the International TaMaR gathering in Israel, for participants from around the world to network with other like-minded young Progressive Jews. This year our gathering will take place during the first days of March. We are going to spend time in Jerusalem, Kibbutz Lotan, and Tel Aviv. The main theme of the gathering is "Repair the world, repair the earth". We will be hosting 20 delegates from many countries including Australia, United Kingdom, USA, Costa Rica, Latvia, Poland, Hungary, Czech Republic, South Africa, Russia, Ukraine, Belarus, Germany, France and Israel. For more information, please click here to contact our Tamar office. The Israel Religious Action Center (IRAC) petitioned the High Court of Justice on Sunday, demanding that it order the State to appoint a non-Orthodox rabbi in Jerusalem, in a bid to end the discrimination in religious services given to the capital's residents. The petition, submitted by Reform and Conservative rabbis and communities, claimed that every single one of the hundreds of state appointed and funded neighborhood rabbis is an Orthodox man. According to Rabbi Gilad Kariv, Executive Director of the Israel Movement for Progressive Judaism, "the State of Israel, as the Jewish state, is the state of all Jews, not just the Orthodox… As such it must provide equal religious services to all of its Jewish citizens, not just the Orthodox, and end the Orthodox monopoly over rabbinical services”. Mercaz Shimshon’s Art Gallery at the Hirsch Theatre lobby is currently holding the "Dialogue and Landscape" exhibition, featuring Russian artists Emmanuil Lipkind (1928-2007) and Anna Khodorkovski. The exhibition focuses on open spaces and urban landscapes in Israel and around the world. The works reflect the intergenerational continuity which is unique in comparison to other artist families. Russian-born Lipkind made Aliyah with his wife in 1994 after a long and fruitful career as an artist and much respected art teacher in Russia. His daughter Anna, whose own work was affected by her father’s artistic style, arrived in Israel a few years earlier. Lipkind continued to paint in Israel until his death in 2007, adding the local landscapes to his portfolio. The World Union FSU department produces a Hebrew calendar for our Russian speaking constituents which is distributed to about 2000 families each year. This year’s calendar included a selection of artwork by Russian artists, focusing on pictures of Israeli landscapes, Jewish families and Holy Days. 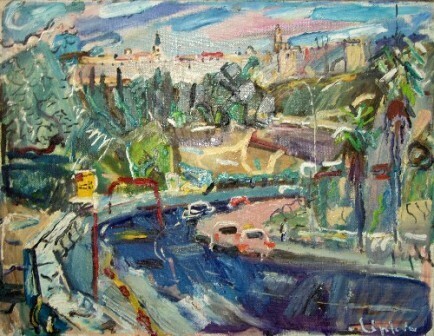 Both Lipkind and Khodorkovsky were two of the artists chosen for this project; their pieces show landscapes of Jerusalem – the Montefiore windmill and Beit Lechem street. This show, as well as the other exhibitions at the Art Gallery, was curated by our volunteer curator Dvora Goldberger. The gallery displays changing exhibitions throughout the year, usually on display for 3-4 weeks. LJY-Netzer has launched SOS (Summer Options Scheme), an exciting new internship-based leadership development program as an alternative for bogrim seeking fresh challenges to being a camp madrich, enabling them to remain involved with LJY-Netzer while at the same time having a real impact on society and enhancing their resumes. The program is divided into two sub-options: SOS UK and SOS Y (Y=Israel). The former consists of a 3-week placement at Jhub, a centre for UK-based Jewish charities. Placement at one of the charities listed below, will be complemented by presentations from other LJY-SOS participants, as well as by feedback sessions and Shabbat activities. Placements include: UK Task Force; Rene Cassin; Tzedek; Gift; Mitzvah Day; Transport for All. 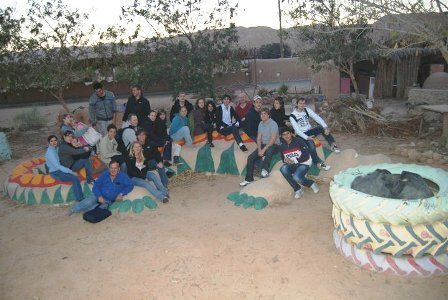 Interns choosing the latter option spend three weeks working with an Israeli social action NGO. They can choose from a list that includes ARDC, Rabbis for Human Rights, Ayalim and IRAC. Flights, food, accommodation and travel expenses will all be included in the program, which is limited to 10 places. A madrich (leader) from the UK will be present at all times. The World Union for Progressive Judaism is filled with admiration and gratitude for the enormous legacy of Rabbi Gunther Plaut, who died this past week at age 99. We send our heartfelt condolences to his family. Rabbi Plaut symbolized the rabbinic ideal of a learned scholar and most effective congregational leader. He was the author of many books and articles and served his colleagues as President of the Central Conference of American Rabbis. More than anything we shall remember and cherish his contribution as the general editor of the first non-Orthodox commentary on the Torah. The Publication in 1981 of "The Torah: A Modern Commentary" ushered in the era of regular Torah study among Reform synagogues around the world. Because of his prodigious efforts, our Progressive movement, along with those from all Jewish approaches, had the world of the Torah open to them as never before. He became, through the commentary, the de facto consulting rabbi to many thousands of Progressive Jews who study Torah either individually or in groups each week! The World Union, understanding the tremendous value of having the Plaut Torah Commentary available to the millions of Russian readers in the FSU, Israel, North America, and around the world, published the Plaut Torah Commentary in Russian in 2011. It further plans to do so in Spanish and Portuguese. Rabbi Plaut’s legacy, therefore, will continue to inspire and impact upon future generations of our People who are in search of greater understanding of what it means to be a Jew. His memory will be a blessing to all of us who cherish the values, ideals and teachings of Progressive Judaism.